Power Restored To Brooklyn Jail Where Inmates Went A Week Without Heat Many inmates had been on lockdown in cells without electricity or heat during days of bitter cold. "They're human beings," said the mother of one inmate. After more than a week without heat and power, conditions at the Metropolitan Detention Center in Brooklyn showed signs of improvement on Sunday evening. Just before 7 p.m., council member Brad Lander tweeted that the power had been fully restored at MDC. Lander told Gothamist that he had spoken to the warden, who also confirmed that the power was running again. For the past week, many inmates had been on lockdown in cells without electricity or heat during days of bitter cold. "How is that? We live in a third-world country?" the mother of one inmate, Yvonne Murchison, asked. "Where's the president on this? He's worrying about the wrong issue; where's he on this? Everybody in there's not guilty, and even if they were, they're human beings." Murchison's son Desmond, who she said has been awaiting trial for a year at the Sunset Park jail, shouted to his mother through metal grates on Sunday. Murchison then led a group of protesters into the building, and they were met by guards who used pepper spray. Several protesters came running out minutes later to cover their faces in water and milk. An NYPD spokesman said no arrests were made. Lawyers meeting with clients reported coughing fits from everyone in the meeting room. One federal defender, Amanda David, said that in 4 1/2 years of doing this work, she's never seen conditions this bad. "It is very apparent that there is a massive failure of caring here, a massive failure of proper supervision, a massive failure of planning," Rep. Jerrold Nadler said after touring several floors on Sunday. Nadler said the warden had thought power would be restored by noon on Monday. Con-Edison was reportedly waiting for a missing component to arrive Monday morning and then full power could be restored. It was restored Sunday evening. Nadler said there was heat in several parts of the building, but many cells remained frigid. He said the warden told him 600 blankets from the city had been distributed. But council member Lander, who was also on the tour, said he didn't see any blankets in any of the cells they visited. Nadler said he's spoken with the acting director of the Bureau of Prisons, who seemed to be acting with more urgency after the protests began last Friday. The NYCLU is calling on the Bureau of Prisons to allow family and legal visits immediately. 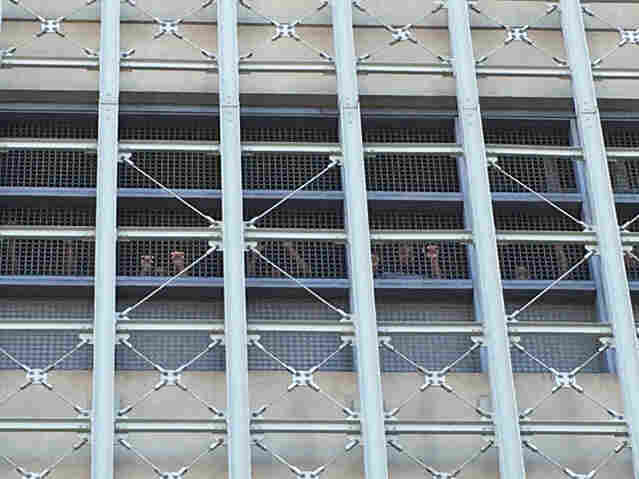 The "confrontation between the Bureau of Prisons and family members of people jailed at MDC highlights the desperate need to address the dangerous, inhumane and unlawful conditions inside the facility," executive director Donna Lieberman said in a statement. "This has gone on for far too long. The BOP must act immediately to get the heat and lights back on, to restore family and legal visits, and resume programming within the facility. It is essential that BOP ensure that no detainee be subjected to retaliation for peacefully protesting this inhumane treatment." "The electrical power at the Bureau of Prisons (BOP) facility at MDC Brooklyn was restored at approximately 6:30 pm this evening. With the heat and hot water operational, and the restoration of electrical power, the facility can now begin to return to regular operations. In the coming days, the Department will work with the Bureau of Prisons to examine what happened and ensure the facility has the power, heat and backup systems in place to prevent the problem from reoccurring," said Deputy Director of Public Affairs Wyn Hornbuckle. The Bureau of Prisons did not immediately respond to a request for comment about the current conditions at the jail. Gov. Andrew Cuomo is also calling for a full investigation into what is happening at the facility. "I am calling on the U.S. Department of Justice to immediately investigate the circumstances at the Metropolitan Detention Center. New York State stands ready to provide any support necessary to keep the heat, hot water and electricity running at the Center and augment the investigation into those responsible for this mess," Cuomo wrote in a statement.